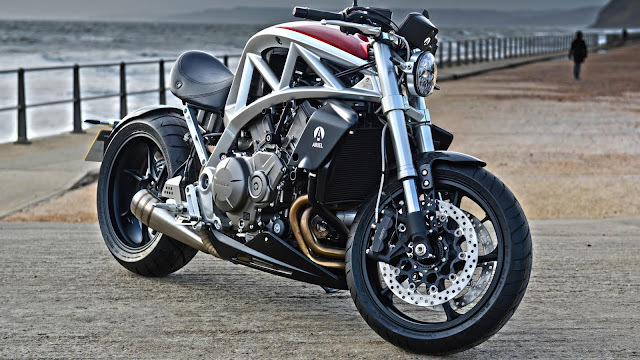 British Auto Maker Ariel has now came up with their new bike "Ace of Diamonds". This bike is the new version of the Ace which was launched in back 2014. This bike got the aluminium frame which are CNC machined and hand welded. It has the Honda 1237cc V4 Unicam engine whose maximum output is 173 Bhp. There will be 6 speed manual transmission gear. Dunlop Tyres and Nissin Braking System are used. Ace of Diamonds can go from 0 to 62 mph is just 2.9 seconds and can achieve the top speed of 165 mph. The bike is limited to only 10 units and will go under production in 2019.